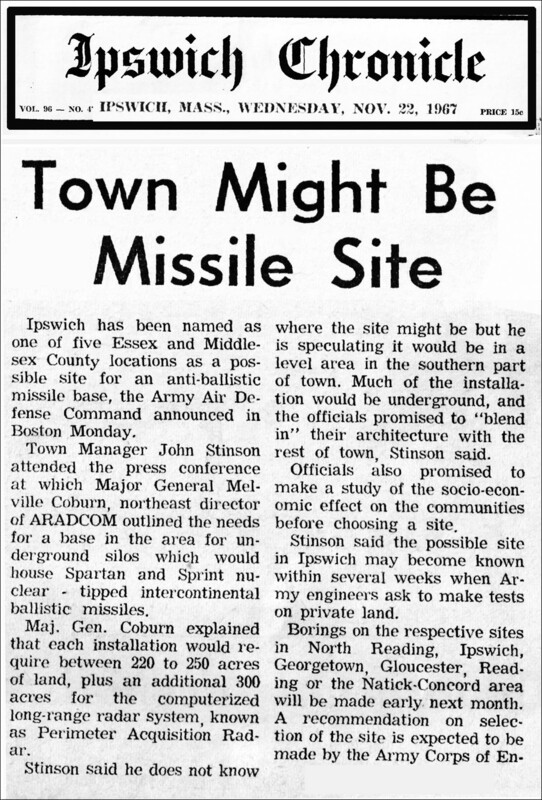 In 1970 a proposal was made to build a nuclear power generating plant on the site of the former town dump at the end of Town Farm Road in Ipswich. MEPP Inc., an organization of 29 Massachusetts Municipal Electric Departments, had been studying Ipswich as a potential power plant location for six years. 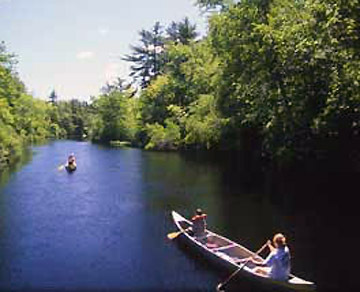 The suggestion was made that the Ipswich-Rowley area was particularly well-suited for a nuclear generation facility because of the shallow depth of bed rock geological formations and the proximity of a large body of cold war for condenser cooling. 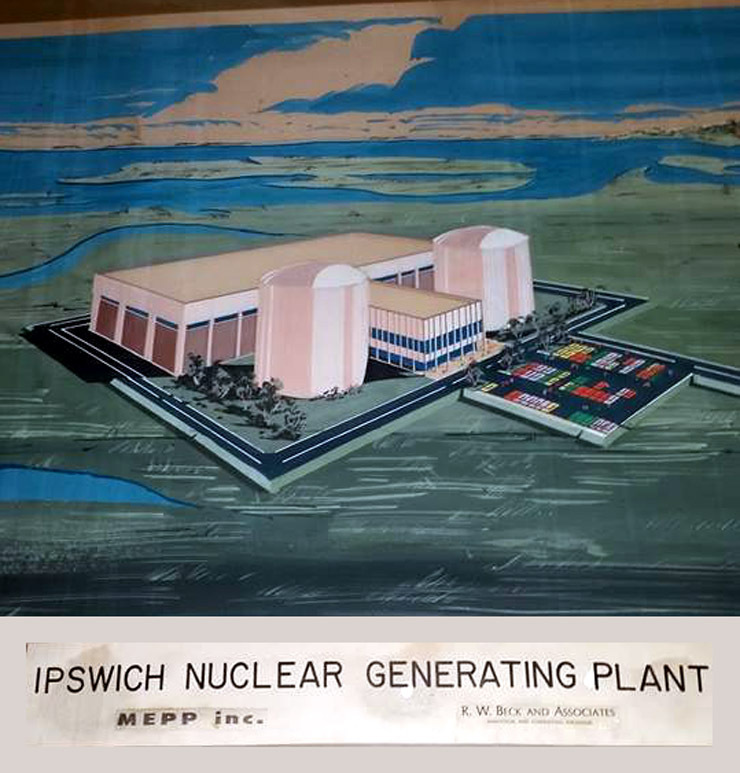 A nuclear power plant originally proposed for Town Farm Road in Ipswich was eventually built in Seabrook after being defeated at the 1971 Ipswich town meeting. Had the plant been built in Ipswich this would have been the view from Jeffreys Neck Road. The Board of Selectmen “realizing the need for information as to the safety of such an operation, financial arrangements with the Town, rise in water temperature at the outlet of the cooling system, and the ecological performances of the plant”, appointed a nine member Nuclear Power Plant Advisory Committee to conduct a study, submit a report to the Board and gather information in order to bring the issue to a vote. 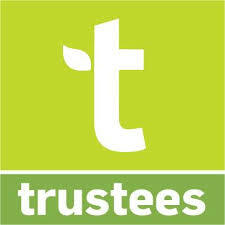 The committee conducted over two dozen meetings during the following year but was unable to establish a consensus. This sketch in the pro-nuclear distribution “Ipswich Soundings” showed the path of huge discharge pipes that would be buried under Plum Island, discharging into the Atlantic, It was apparently intended to assure Ipswich residents that Plum Island Sound would be unaffected by thermal discharge. There was tremendous opposition to the proposal by Ipswich residents, including our state representative Jack Dolan. Joseph Borysthen-Tkacz recalls going to a hearing, “I pointed this out to the presenter, saying that this would never happen. I got a ‘deer in the headlights’ look from him.” Mildred Hulbert was another opponent: “I sure was against it. Got about 100 signatures, and stood up at town meeting (shaking in my boots) and stated my reasons.” The Hulls on Eagle hill distributed a pamphlet and urged people to attend the town meeting an vote against the article. The League of Women Voters of Ipswich published a pamphlet titled “We Want to Vote, but are we ready?” stating the advisory committee had not fulfilled its objectives of informing Ipswich citizens and making a determination if the plant was in the best interest of the town and its citizens. Public meeting of the Nuclear Advisory Commission in the Old Town Hall, April 10, 1970. Shown speaking is Mr. Chesmore of the MA Department of Natural Resources, Division of Marine Fisheries. 1971 Ipswich Town meeting votes the proposal down. Article 32: To see what action the town will take relative to approving the concept of having a Nuclear Electric generation facility constructed on land owned by the town of Ipswich generally known as the old town farm. Moved by Mr. Bialek, Selectman, that the Town express its interest regarding the concept of a nuclear generating facility in the Town of Ipswich and that town encourage further investigation into the question of such a facility, provided that no such vote shall be interpreted as endorsement of any proposed legislation, and it is further understood that MEPP legislation, insofar as it affects Ipswich will not be submitted without the approval of the Board of Selectmen, the Town Manager, the Nuclear Power Plant Advisory Committee, and Town Counsel and that any such legislation shall contain the requirement that a vote be cast by the Town before any such plant may be built. Mrs. Betty Siegel of the League of Women Voters asked if the Nuclear Power Study Committee had taken a vote on said motion. Mr. Masse of the Nuclear Power Plant Advisory Committee answered that the advisory committee is not an official town committee — its role being to advise the selectmen and that action of the Selectmen takes precedence. He further explained that there will be two more votes before the town can be committed to such a facility. The Finance Committee recorded themselves as in favor of the motion. Mr. Gary Hull of Eagle Hill Road spoke in opposition to the motion. Mr. Charles K. Cobb, Jr., selectman and chairman of the Conservation Commission, moved for indefinite postponement of the article. Seconded. He presented views which predicated the motion. Mrs. Betty Siegel of the League of Women Voters stated that the League is not against further study of a nuclear plant, but it feels that the town does not need a directive from town meeting to pursue such a course. Mr. John Pechilis, chairman of the Electricity Advisory Board, spokesman for and representative of Ipswich to MEPP strongly urged the people to vote for the article and in detail presented MEPP’s views. Mr. Philip Stewart moved the question to cut off debate. A 2/3 vote was required to accomplish said motion. Hand count showed 479 voting in the affirmative, 197 opposed; 452 needed for passage. Motion carried. Hand Count on motion to indefinitely postpone the article showed 475 voting in the affirmative; 281, opposed. Motion for postponement was carried and so declared by the Moderator. Two windmills today stand at the location on Town Farm Road originally proposed for a nuclear power plant. View from Jeffreys Neck Road. Article 33. 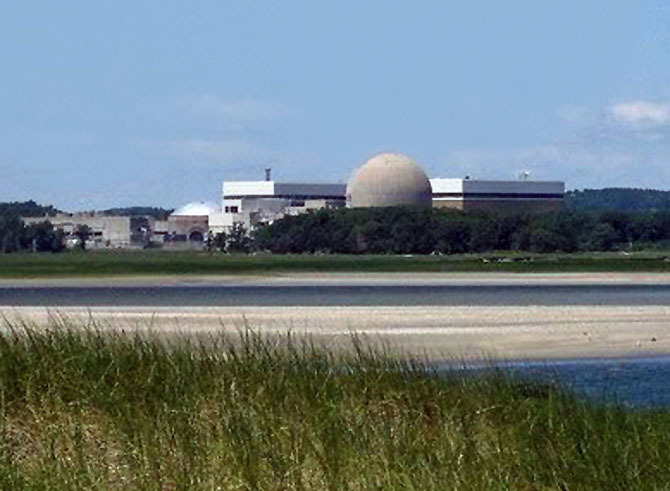 To see what action the town will take relative to accepting proposals for the development of a Nuclear Electric Generating Facility on land now or formerly, owned by the Town of Ipswich. It was moved by John Pechilis, chairman of the Electricity Advisory Board, that the motion be indefinitely postponed. The motion was carried by unanimous vote. Thanks for this informative article. The citizens of Ipswich were wise to shun the nuclear option.